The RX 2.0 was named as the best bike for gravel riding in Men's Journal 2016 Summer Gear Lab. In addition to the RX 2.0's cyclocross application, Men's Journal recognized that the aluminum frame, carbon fork, and SRAM 1x drivetrain made the RX 2.0 an excellent bike for both speedy commutes and pavement-to-trail adventures. 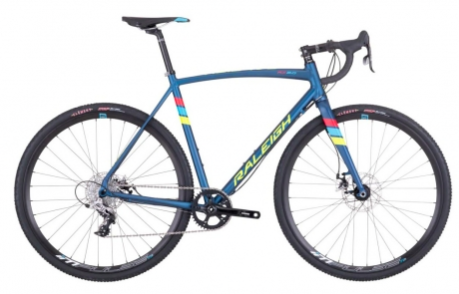 Editor's Quote: "Raleigh's latest cyclocross rig brings serious performance to an incredibly affordable package." To view the RX 2.0, click here.